Summary: Growing up in Sharon, Massachusetts, Pete Siebert taught himself to ski on an old pair of wooden skis he found in his parents’ barn. As he got older, his parents took him and his sister to the White Mountains of New Hampshire, where he became a proficient racer and vowed to one day open his own ski resort. After graduating high school, he enlisted in the army, the 10th Mountain Division of soldiers on skis. After training in the Colorado Rockies, the division was shipped overseas to Italy, where they took part in a daring nighttime attack on Germans in the Apennines Mountains. Pete was wounded so severely doctors weren’t sure he would walk again, but he was determined to ski. He persevered and recovered enough to make the 1950 U.S. men’s ski team. And in 1962, his boyhood dream came true when he opened the Vail Ski Resort in Colorado. Includes additional information about Pete Seibert and the 10th Mountain Division, as well as a list of sources. 176 pages; grades 4-8. 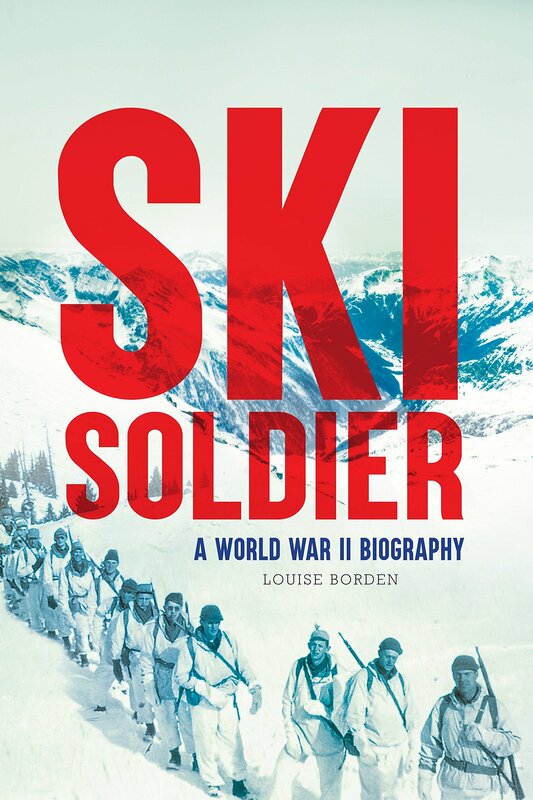 Pros: Told in verse, with plenty of photos, this story will appeal to skiers and World War II buffs. It’s a quick read, but the story is engaging, and readers will learn a lot about Pete and an unusual chapter in military history. Cons: The cover makes the book look kind of old.